Valentines will be a bigger celebration as cool bossanova, jazz and funk tunes sizzle. 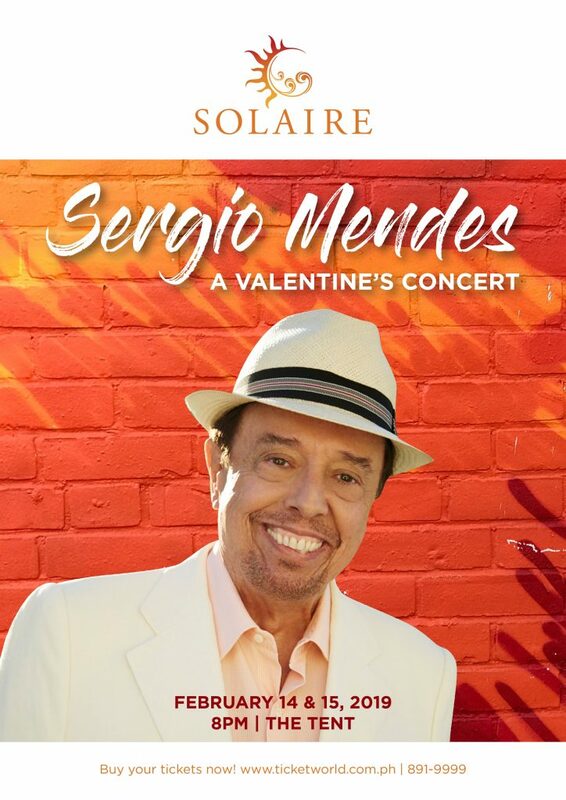 Brazil’s cool, Sergio Mendes will set your hearts and groove ablaze with his back-to-back concert “Sergio Mendes: A Valentine’s Day Concert” happening on February 14 and 15, 2019 at The Tent at Solaire. Labels: Lorenzo Manalang, Solaire’s Vice President for Brand and Marketing.